'Giallo' is Italian for 'yellow', the color of the lurid pulp novels that inspired one of the most intense, extreme and influential genres in movie history. 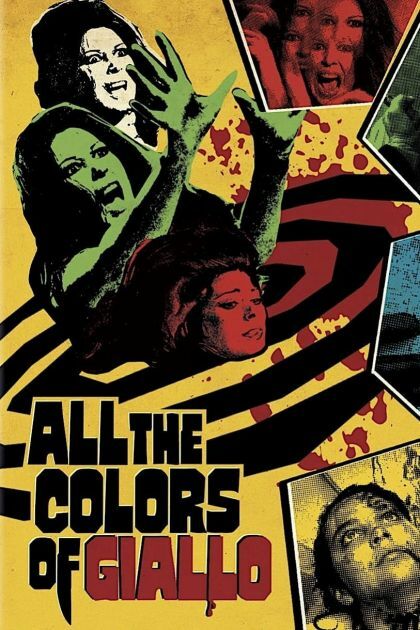 In this unprecedented collection, experience the full chronological evolution of giallo with more than 100 rare and classic trailers from such masters as Mario Bava, Dario Argento, Lucio Fulci, Sergio Martino, Antonio Margheriti, Umberto Lenzi and many more. Then slip on black leather gloves and set the mood with a Bonus CD of legendary soundtrack music from composers that include Ennio Morricone, Riz Ortolani, Bruno Nicolai, Stelvio Cipriani and others, along with all-new featurettes that thrust even deeper into the genre. "But be warned," says Gizmodo.com, "Once you start going down the blood- slicked giallo rabbit hole, you may become dangerously obsessed."